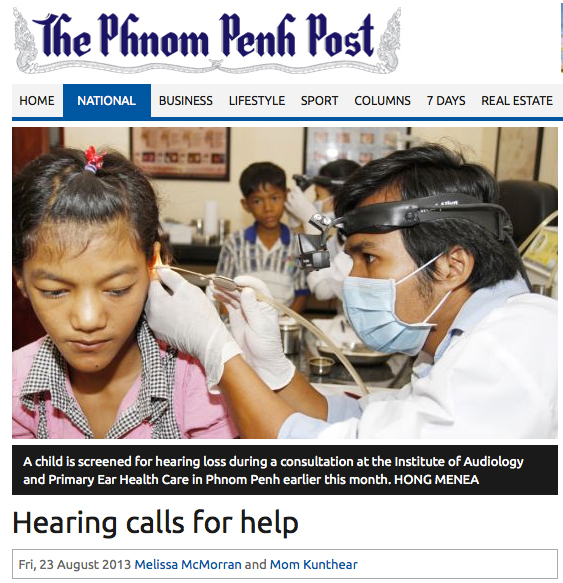 “AEC opened a school last August to train Cambodians in ear healthcare and audiology. A high school education is required, along with a commitment and unwavering passion to help people. It follows the World Health Organisation-approved methodology for addressing hearing loss in the developing world. This entry was posted in NFC Success Stories by nfccambodia. Bookmark the permalink.